RM Biltrite™ Skirtboard Rubber sheets are an essential component to improving conveyor belt performance. 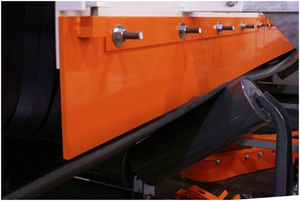 They reduce belt slippage, improve tracking and bearing, extend belt life, and more. With its high resistance to cuts, wear, and abrasion, skirtboard rubber is the ideal material for loading areas and other heavy impact environments.